Christmas is just 3 weeks away!!! Do you have your cards ready to go? Here’s a quick and easy card you can put together in just minutes! You’ll need white card stock, red card stock, and red ribbon. The embossing folder, “merry” stamp, and label punch are from Stampin’ Up. The snowflake punch is from EK Success. You’ll also need your favorite corner rounder punch. 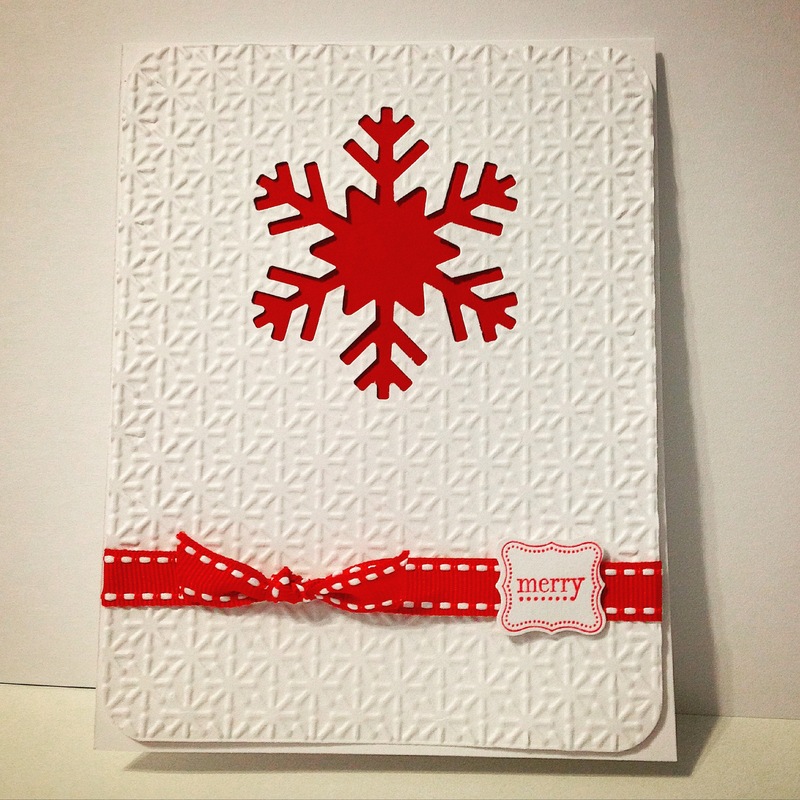 Emboss a panel of white card stock with the snowflake embossing folder and punch the corners with the corner rounder. Punch the snowflake from the center top of the panel. Attach a square of red card stock behind the punched area. Tie the ribbon around the panel and attach the entire panel to a white card. Stamp “merry” with red ink on white card stock and punch out. Attach to ribbon…and you’re done!